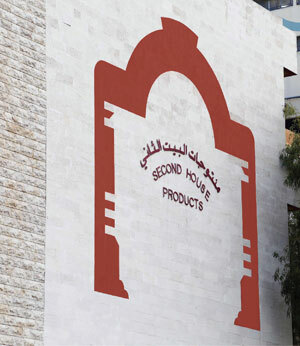 SECOND HOUSE PRODUCTS, IS A FAMILY BUSINESS LOCATED IN LEBANON FOUNDED BY MR. FRANÇOIS RIZK SINCE 1986, WITH AN ENTREPRENEURIAL SPIRIT FOCUSED ON ORGANIC GROWTH. THE COMPANY IS ENGAGED IN MANUFACTURING AND EXPORTING THE FINEST LEBANESE AND MEDITERRANEAN GOURMET FOOD SPECIALTIES. THROUGH CONTINUOUS ADAPTATION TO FOOD SAFETY TRENDS IN EACH COUNTRY’S CULTURE, THEREBY LEADING TO CONTINUAL ORGANIZATIONAL IMPROVEMENT. THE FACILITY IS CERTIFIED FOR FOOD SAFETY SYSTEM CERTIFICATION 22000:2013 (FSSC). SUSTAINING SUCH SYSTEM IS CONSIDERED A VITAL ELEMENT FOR ENTERING FOREIGN MARKETS. MANUFACTURING UNDER PRIVATE LABEL AND GAINING TRUSTWORTHINESS IN CUSTOMIZED/TAILOR MADE PROJECTS. IT IS ALSO CRUCIAL TO MAINTAIN CONTROL, CONSISTENCY, INNOVATION OF KEY PROCESSES AND TO UPGRADE PRODUCTS AND SERVICES WITHIN SUPPLY CHAIN. 70-80% OF PRODUCTION OUTPUT IS DEDICATED FOR EXPORT MARKETS SUCH AS: AUSTRALIA, USA, SWEDEN, QATAR, KUWAIT, DUBAI, JORDAN, AFRICA, KSA AND SYRIA. THE REMAINING 20 TO 30% OF OUTPUT IS DEDICATED FOR LOCAL MARKET MAINLY FOOD SERVICE AND PRIVATE LABEL SECTORS SUBJECT TO EXPORT AGAIN BY BRAND OWNERS.